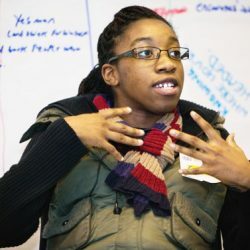 This report looks at some of the ways different organisations are including young Disabled people and encouraging their leadership and includes the voices and experiences of young Disabled people on leadership matters. The report highlights that young Disabled people need to feel part of their communities, families and peer groups if they are to feel confident to seek out leadership roles. The research shows that young people want more choice and control in their lives so they can be leaders.